Cut off denim shorts with step hem in our vintage inspired wash in a medium shade with highs and lows created with hand sanding, whiskers and chevrons. The super stretch denim is complemented with contrast spice thread and silver hardware to add a heritage look. 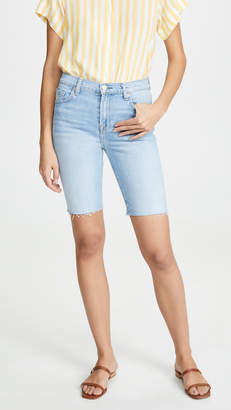 7 For All Mankind High Waist Cut Off Short.